and the work behind the mod. While I came up with the idea, wrote the story, did the level design, the PR and all kind of game management, the work of a game development team – I could never have done it without the people who did contribute to create this game. And yeah, I just wrote GAME, not mod. It’s odd, people who played it calls it a game too. And I’m not sure why they do. I know I call it a game because thats what it has felt like when working on it. I’ve literally worked on every aspect of making a game when working on this. And it has taken time. It would probably taken alot longer without the people who helped. My name is Kim Nehzaty. When I started working on Episode 1 back in April 2010 I never thought this would become such a huge project for me. And please do understand how huge it really is. The reason I started working on it back in 2010 was because of Portal 2 just had been announced. It inspired me to start making levels for Portal 1. 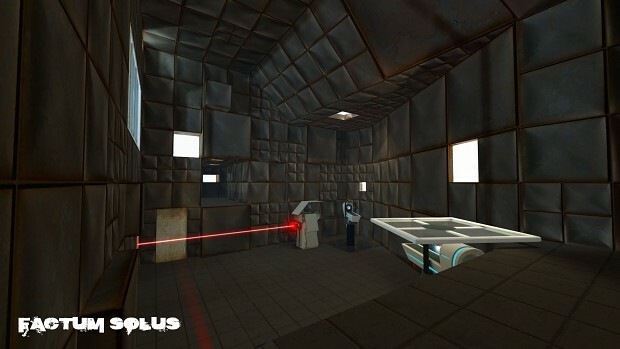 I had been working with level design long before that but never mapped for Portal. So, I had seen the kind of typical puzzles and mods people had done for it. I wanted to explore and try to do something bit different. That’s what Episode 1 is, a experiment. And awful experiment. I took what I learned from creating it though and decided to create a second episode, since I got positive feedback and people liked it. I actually started writing Episode 2 before I released Episode 1, that allowed me to create a good cliffhanger and tie the two episodes together nicely. Once I started working on EP2 it took maybe 3-4 months before I had created all the maps. However they were super buggy, bad and rough. So I decided to start polishing! That is pretty much the reason it took 2 more years before I actually released EP2. Well, it’s one of the reasons. I had issues with my voice actor, lip syncing and pretty much everything. My hardrive crashed at one point and set me back 4 months. Even though I had all these setbacks, 2 years might still sound like alot. And yeah, it is. Game development is hobby of mine. I worked on this on my spare time when I could. I am a full-time student who is studying digital design in Sweden, Stockholm. When I started working on this I was at age 16 and today I’m 19 years old. It has truly been exhausting doing the work of a whole game development team, and yeah there were time I lost motivation to finish the project. I would again like to point out that without the help of fellow modders, game designers and fans, I couldn’t have finished this project and learned so much. and what it’s all about. 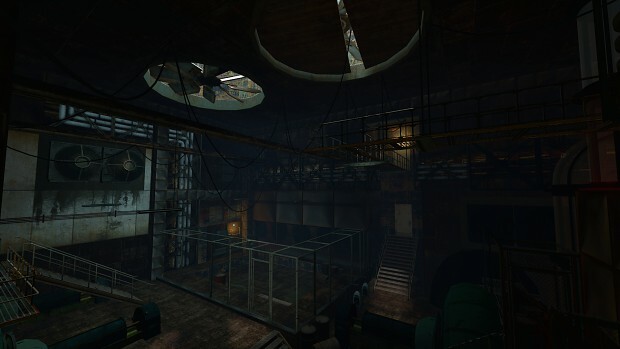 Factum Solus is a story-driven Portal 1 mod. It’s split up into two episodes. While a whole new story was written, designed and then executed it offers different types of new exciting challenges and puzzles. There are new custom made ‘testing devices’ that broadens the gameplay by alot. 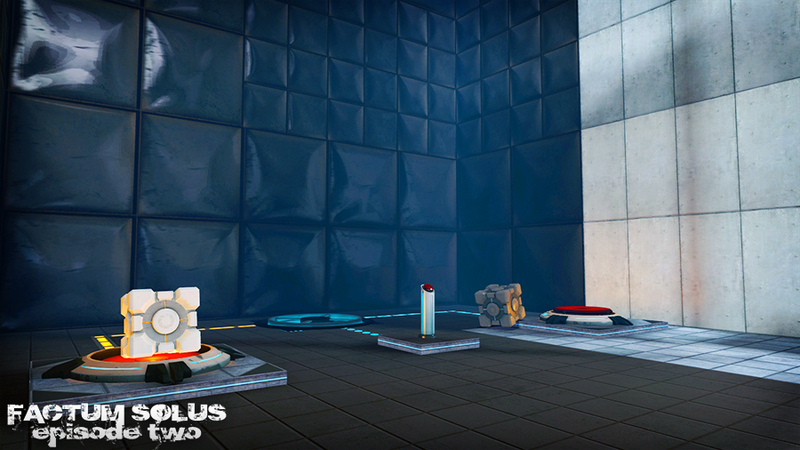 But what stands out the most with Factum Solus is your NPC partner you interact with and help solve puzzles. 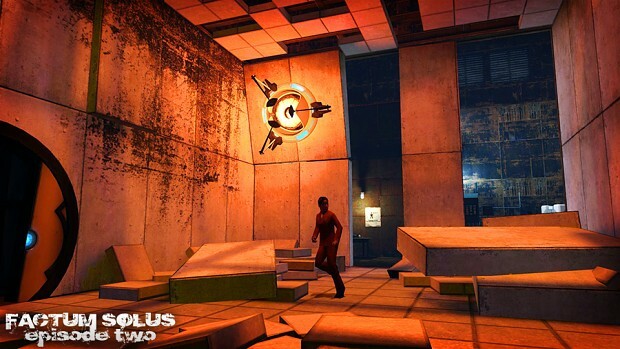 You play as Chell from the original Portal, but you’re not playing through the same story as you did in Portal 1. You are thrown in into action in Episode 1 and have to solve well designed and creative puzzles. On your way, you notice that someone is watching you, not someone from the staff of the enrichment center. In Episode 2 you find yourself with another test subject (NPC) like you, and together you try to stay out of the sight of the AI called Ben. Ben is still the same clumsy and humorous AI that he was in Episode 1. He guides you through the chambers when you aren’t with your mysterious friend. But if Ben finds out what you are plotting with your new friend, all hell is going to break loose.